Every detail on board a Viking River Cruise ship is designed to enrich and enhance your travel experience, enabling you fully immerse yourself in the rich tapestries of the cultures you are visiting. From thoughtfully curated library and the insights of special guest lecturers to cooking demonstrations with the head chef and wine tastings of vintages from your destinations, Viking helps you connect to your destination in every possible way. The award-winning Longships of Viking River Cruises showcase innovative engineering, efficient Scandinavian design and subtle elegance. 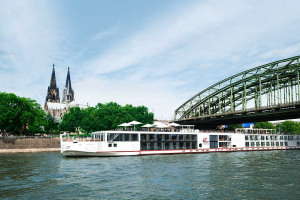 Thoughtfully engineered to get you closer to your destination, Viking Longships provide unprecedented levels of comfort, including spacious staterooms with full-size verandas, the largest suites on Europe’s rivers and the most al fresco dining.